Once you have crossed the hedge, met with your guides, and begun to develop relationships with them, it is time to come home. If you are listening to shamanic drumming, there is always a signal to let the listener know the drumming will soon end. This signal is designed to pull your soul back to you and give you time to slowly come back to earth. But how does one do this? Depending on the method you used to get into the Otherworld, your method of coming home will vary as well. For me, I always cross the hedge in the same way. I start at the same location at my childhood home, find the same fallen tree, and either walk down or up the stairs to reach the realm I am looking for. I take the same route home. If I am in the Lower Realm, I find the cave covered in vines and walk back up the steps, through the tree, and back to my childhood home. Each of us enters the Otherworld differently, so whatever path you originally took to get there, you should retrace your steps to get back. Make sure you take the same path every time. This makes it easy to travel to and from the Otherworld, but also ensures your soul makes it back in one piece. Once you have made it back to your original starting location, send out a pulse of energy through the Universe. I do this by outstretching my arms, looking up, and forcing energy out of myself. This energy pulse acts as a beacon, allowing any missing fragments of yourself to return to you. Sometimes pieces of us get left behind in the Otherworld without us realizing it. This pulse will call those pieces back to you so you return to our plane completely. After sending out the pulse, check yourself over. Do any areas feel less solid or colder than other places? If so, you may still be missing parts of yourself. Send another pulse and wait a moment or two. If the piece(s) still do not return, you will need to extend your journey. 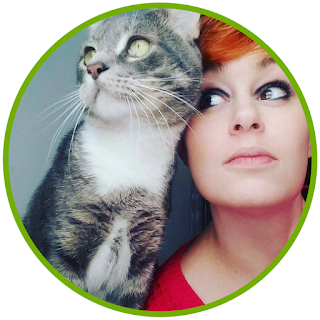 Travel to the Middle Realm and summon your animal guides to assist you in locating the missing pieces. This is an extremely rare occurrence for well-trained witches. Usually, one pulse is more than enough to ensure you return whole. If you have taken the proper precautions, you shouldn't have to worry about losing parts of you in the Otherworld. Once you have ensured all of you has returned, slowly open your eyes. If you are laying down, I suggest you remain laying for at least 2-3 minutes to readjust to the physical world. The same if you are sitting. Don't get up right away or try to immediately begin processing your journey. You may feel groggy or tired when you return. This is normal, especially if you have done a lot of work on your journey. Remember, time is different within the Otherworld and our world. While you may have only been gone for 30 minutes on Earth, you could have been in the Otherworld for a week. Its okay if you are tired afterward. Flying is hard work! You may even notice everything is slightly out of focus. Give yourself time to adjust and fully come home. While you are adjusting, reach out and feel the Earth around you. Even if you are inside on your bed, send your energy down until it touches the Earth. Feel the cool, damp soil surround your body and ground you. If you are too drained to do this or unable to ground this way, hold some black tourmaline. This is my favorite method of grounding. Black tourmaline and I have a pretty awesome relationship. I rely on my beautiful crystal A LOT. I always keep it next to me when I hedge ride so I can easily reach over when I am finished to quickly ground myself. Grounding after flying is incredibly important. It brings your mind and soul mentally back to our plane and will allow you to get rid of that tired feeling you may have. When you are positive you have returned completely, cleanse yourself with sage or another cleansing herb blend. This gets rid of anything that may have hitched a ride back with you. Spirit parasites are common so a cleanse is necessary. If you want and feel it will help, take a cleansing shower. Wash with a sage soup or hang some fresh sage in your shower to help remove any parasitic spirits from yourself. It is only after you have grounded and cleansed yourself that you should begin trying to process what messages you saw and received. Be sure to write everything you can remember down in your Book of Shadows or in a hedge riding notebook. I keep a notebook specifically for hedge riding. I journey so often and have such elaborate experiences, that it doesn't make sense to try and keep these notes with any other magical workings. In fact, I have a notebook for dreams, one for tarot and divination, one for spell work, and finally one for hedge riding. I've found it is the easiest way for me to organize. Anyway! When you are writing, don't worry about complete sentences, the timeline of events, or spelling. If you need to, jot down major events and images and worry about elaborating on them later. Once you have written everything down, take a break. I know you want to immediately jump right in and begin making sense of everything you saw and did, but trust me, you need to take a break. Go get a snack. Drink something sugary. Go for a walk or go watch The Office. If you give yourself a break, both mentally and physically, you'll be better equipt to figure out the messages you have been given. You may even need to give yourself an entire day. It just depends. When the mind has had time to relax and recalibrate, it is often able to see patterns and meanings and solve problems we wouldn't otherwise have been able to see or do. This is why people tell you to sleep on things. Your mind is a powerful tool, but it needs a break after flying as well. When you feel ready, begin by rereading everything you wrote. Expand on any areas you rushed to get down. Start to piece together any messages you may have received and try to make sense of what you saw and did. Sometimes the messages are extremely clear. Sometimes Meka looks me straight in the eye and says, very clearly, do this. Other times I am shown a series of images and it takes me a week to figure out what she was talking about. Our spirit guides don't always speak the same language as us and sometimes they give us answers to a question we didn't realize we were asking. Those answers may take a little longer to figure out, but make sense when events start to fall into place. Meditate on what you have seen, light candles, burn incense, hold some amethyst, do whatever you need to to figure out the meaning to the messages you received. Be aware that not everything has a meaning. Sometimes lines get crossed and we pick up random bits of information. If you are struggling to understand a message, let it breathe. Taking a break is always the best thing you can do. If push comes to shove, hedge ride again, this time making it clear you want a straight answer. Heck, try asking the question a different way! It is important to note that your guides, if they are really your guides, won't lie to you. If you are concerned about the information you have received, go back and ask again. If you receive inconsistent information, the spirit you are talking to may not be your guide or at least not yet. Not everyone you meet if out to help you. 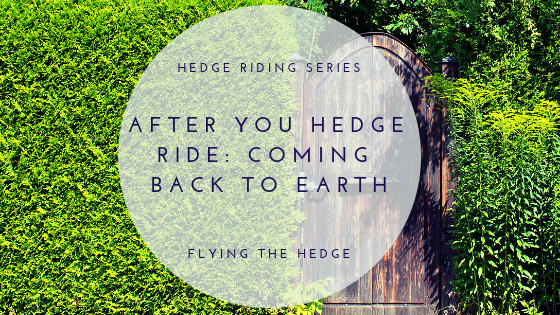 There is a lot more to hedge riding than what I have mentioned in this series. 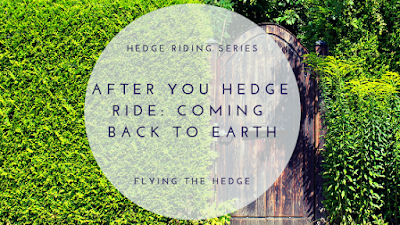 Over the course of the next year I will expand on some of these topics, but honestly, it would take a book to completely explain everything involved in hedge riding, from building your garden to shapeshifting, to summoning and binding spirits. The list is pretty endless. Good news for you, I am currently writing a book! Maybe I'll get around to finishing it within the next year. Until then, keep an eye out on the blog to related posts! I promise I will delve into many of these topics soon. My final post of this series will include some of my journeys. I thought about leaving this final post off, but I recognize some of you may need to see what I have experienced to validate your own. I'm right there with you. Besides, reading about the experiences of others is so intriguing! It's like reading a really good book, don't you think? Within the next couple of weeks, I'll share some of my most memorable journeys with you!